Something strange happened a few months ago. I was starting to get drawn into the smear that is the Tea Party Republican hate game. As a real fiscal conservative, small government type I started buying into their spin. But then I woke up, and started researching on my own. 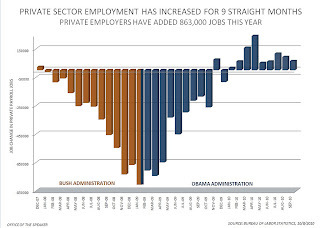 As mentioned in Monday's post, it is actually the Democratic administration and congress that is reducing Government jobs while increasing private sector job opportunities. You would think, if the Tea Party brigade was sincere about what they want, they would reject the failed policies that got us here, and embrace the very practices that are delivering the exact goals they claim they want. But the Right Wing noise machine continues to push false memes and myths, for the truth would simply destroy them. In a troubling sign for Democrats as they head into the midterm elections, their signature tax cut of the past two years, which decreased income taxes by up to $400 a year for individuals and $800 for married couples, has gone largely unnoticed. See, the Right doesn't care about tax cuts, they care about winning. Fortunately, Minnesotans are smarted than that. While many around the country have been suckered by the myths perpetrated by Right Wing extremists, the Minnesota electorate has dismissed them. The GOP wave, with assistance from their slush fund money, may fool those most vulnerable, but not us, here! Democratic candidates are doing well, as the folks here know what is at stake. Too bad others around the country don't get it . . . yet! This is the 9th straight month of private sector job growth in the midst of a devastating recession that has put a serious strain mostly on the poor and middle class. There has been a total of 863,000 private sector jobs created in 2010, exceeding the total created under the Bush/Cheney regime. But over all, the economy lost 95,000 nonfarm jobs in September, the result of a 159,000 decline in government jobs at all levels. Local governments in particular cut workers at the fastest rate in almost 30 years. So we have consistent Private Sector growth, albeit not enough, coupled with significant shrinkage in government. A perfect Tea Party storm. 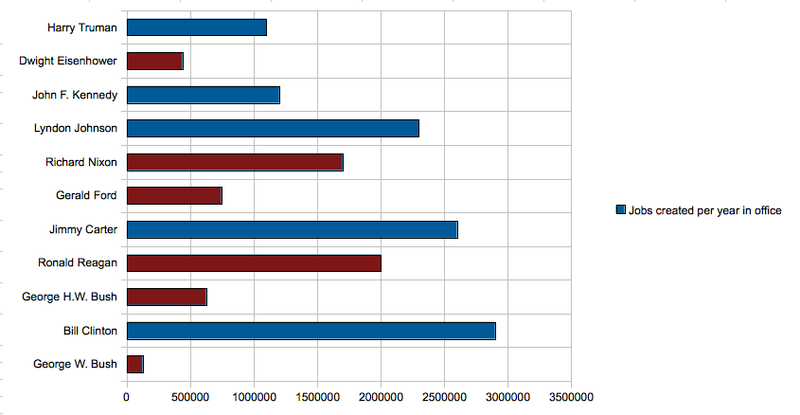 In fact, consistently, the Left has had much more success in economic growth than the Right. So what;s the gig . . . POWER! The Right has shown they aren't at all interested in working towards a better future. They aren't at all interested in acknowledging what works, and what doesn't. This is about pushing myths and mysticism into the election cycle, in hopes the electorate has short memories. There are several myths being pushed in the waning moments of this election. I'll point some of them out this week. Beginning of End in Afghan? KABUL, Afghanistan — Talks to end the war in Afghanistan involve extensive, face-to-face discussions with Taliban commanders from the highest levels of the group’s leadership, who are secretly leaving their sanctuaries in Pakistan with the help of NATO troops, officials here say. The discussions, some of which have taken place in Kabul, are unfolding between the inner circle of President Hamid Karzai and members of the Quetta shura, the leadership group that oversees the Taliban war effort inside Afghanistan. Afghan leaders have also held discussions with leaders of the Haqqani network, considered to be one of the most hard-line guerrilla factions fighting here; and members of the Peshawar shura, whose fighters are based in eastern Afghanistan. American officials said last week that talks between Afghan and Taliban leaders are under way. But the ranks of the insurgents, the fact that they represent multiple factions, and the extent of NATO efforts to provide transportation and security to adversaries they otherwise try to kill or capture have not been previously disclosed. At least four Taliban leaders, three of them members of the Quetta shura and one of them a member of the Haqqani family, have taken part in discussions, according to the Afghan official and a former diplomat in the region. The identities of the Taliban leaders are being withheld by The New York Times at the request of the White House and an Afghan who has taken part in the discussions. The Afghan official said that identifying the men could result in their deaths or detention at the hands of rival Taliban commanders or the Pakistani intelligence agents who support them. Read the whole article, it is a great insight into the next phase of this ongoing struggle! "Don't let fear cause you to vote for a candidate you consider to be the second-best choice." Which, ironically, is the reason most people ARE voting for Horner, out of FEAR! I will NOT vote for an unelectable only to inoculate myself from criticism. I will proudly vote for Dayton knowing he will right the wrongs of the TPaw fiasco! Some people confuse ideological perspective with voting pattern. I'm not one of them. 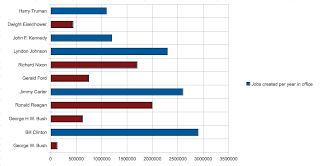 I tend to vote more Blue than Red since the GOP candidates of late have been to the extreme. Of the two electables, I am going for the more moderate of the two, and it isn't Emmer. For Congress, as an example, I will NOT vote Blue for the same reason. This isn't about party, its about progress. The state has stagnated for 8 years and we have lost our status of leader in the country. Time to change that, make the tough decisions, and get this state moving again. Employers slashed another 598,000 jobs off of U.S. payrolls in January, . . . The latest job loss is the worst since December 1974, and brings job losses to 1.8 million in just the last three months, or half of the 3.6 million jobs that have been lost since the beginning of 2008. The loss since November is the biggest 3-month drop since immediately after the end of World War II, when the defense industry was shutting down for conversion to civilian production. How does the saying go, those who refuse to remember history are doomed to repeat it. If we go back to the policies that ravaged this economy during the Bush years, we will, be doomed! Think about that when you review your ballot this fall. Coming off Basic Training in August, these well training and prepared men and women are eager and ready to begin their new paths. And then it all comes to a screeching halt. A hurry up and wait situation where significant downtime is experienced following an 8 1/2 week adrenaline push. That's what happened to my son. He arrived at Keesler AFB (Mississippi) immediately after graduation weekend. A 16+ hour bus ride to his new home. However, there was no opening in his classes, so duty assignments like Security, loading dock, and PT conditioning was his world . . . but no classes. That all changed this week. After 6 weeks of waiting, with early signs of frustration beginning to set in, he began his next step in his journey. The Airman is going into Cyber Systems Operations, so his class schedule start with Cyber Systems Basics, Windows & introduction, and high tech classes that will prepare him for his first duty station. Anticipated Graduation is the 2nd week of December, where God willing, he'll get some much needed leave including about 2 weeks of uncharged leave as part of the Recruiter Assistance Program. IF the timing works out, it will be a very merry Christmas at the Flash homestead. Now that he has begun Tech School, within a few weeks, we may found out more specifics of where his first assignment will take him. HE is hoping for over seas, Japan or Germany, but he he will go where he is needed, and serve out country proudly. 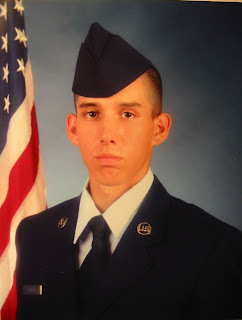 My son, the Airman . . . I'll keep you posted. How to FInd a Trillion! There are various estimates to what the deficit currently is, but here is what we do know (Careful, ScaifeNet link). When President Clinton left office, he had a surplus. During the Bush years the deficit climbed to close to half a trillion. With the much needed stimulus, unfunded, the deficit jumped to over a trillion. So where can we find a trillion. Lets start by reviewing the budget breakdown. As you can see, no meaningful dent can be made on the budget without significant cuts, reforms, or cost savings, in the area of Health & Human services and defense. Of course, the other option is to look at potential revenues. By extending the Bush era tax cuts to ALL Americans, yet allowing the top tier to expire (a modest 3% increase in each earned dollars over $250,000) would fuel a 700 Billion dollar revenue in flux. Without this balanced approach, where does the money come from. See, it is ease to scream cuts, it is simple to buy into the Liberal spending spree, but NONE of these Tea Party Republicans have any solid details as to how they would do it. You wanna slice of reality, lets cut the entire Department of Educations, but that is only 100 Billion dollars, where do you find the other 900 Billion, OH, that would be the same as the Defense Budget . . . . . . If you want to get real serious, the Interesting on our debt is almost 400 Billion dollars. You want to start taking the debt, you need to eliminate the deficit. And like we have found here in Minnesota, you can't do it with cuts alone, a balanced approach is required.